In the whole sea of the upcoming movie or television projects based on Agatha Christie's works (click on her name tag below the post to see them all), surely one of the most intriguing ones will be Kenneth Branagh's MURDER ON THE ORIENT EXPRESS and rumour has it that it might have a rather stellar cast: Judi Dench and Johnny Depp have been cast alongside Michelle Pfeiffer and Daisy Ridley. 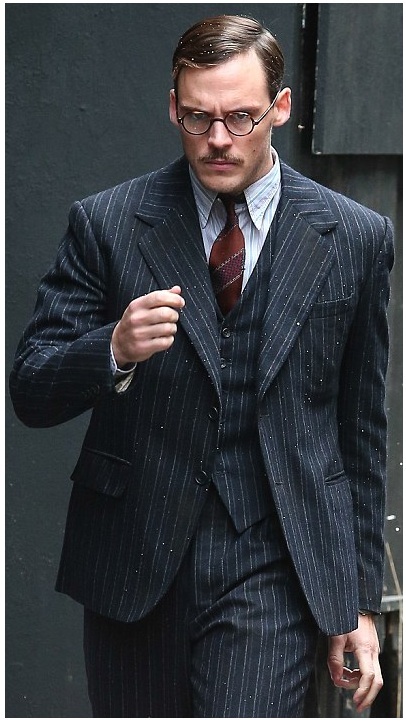 MURDER ON THE ORIENT EXPRESS will see travellers stuck in the snowstorm in the middle of old Yugoslavia with a murderer in the train, with Branagh himself playing Hercule Poirot, Depp will be Ratchett, Pfeiffer is Mrs. Hubbard, Daisy Ridley is Mary Debenham. 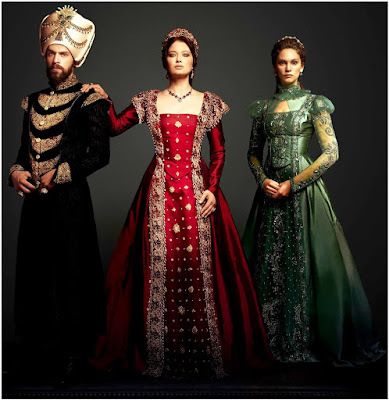 Judi Dench will portray Princess Dragomiroff, and Lucy Boynton Countess Andrenyi. 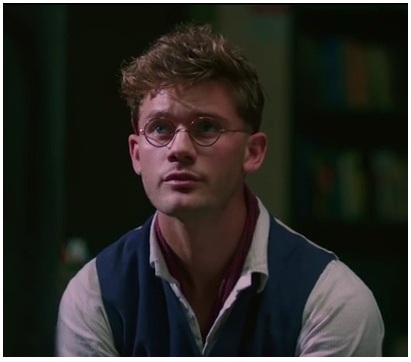 Tom Bateman will be Bouc, while legendary Derek Jacobi is Masterman, Michael Peņa is Marquez, and Leslie Odom Jr. will be Doctor Arbuthnot. In the television world, Starz is casting for its new sf thriller series COUNTERPART which already has two 10 episodes season ordered! Harry Lloyd and Olivia Williams have just joined JK Simmons who leads the cast as Howard Silk a lowly cog in a bureaucratic agency who discovers that the agency he works for is really guarding a crossing into a parallel dimension. Through Howard and his Counterpart on the other side, the show will navigate themes of identity, what-ifs and lost love. Olivia Williams will play his wife, a mysterious woman whose secrets become the center piece of the first season’s story. 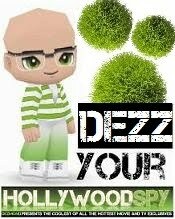 Lloyd will be a director at Howard’s agency whose carefully calibrated career slowly begins to unravel as he sinks deeper into the world of espionage and double lives. 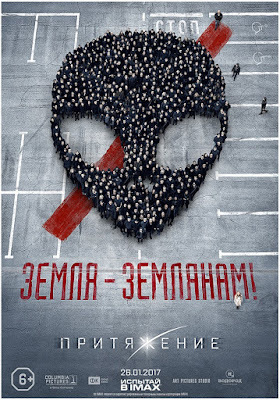 And a stunning trailer for you coming from Russian 2017 sf movie ATTRACTION or Притяжение! 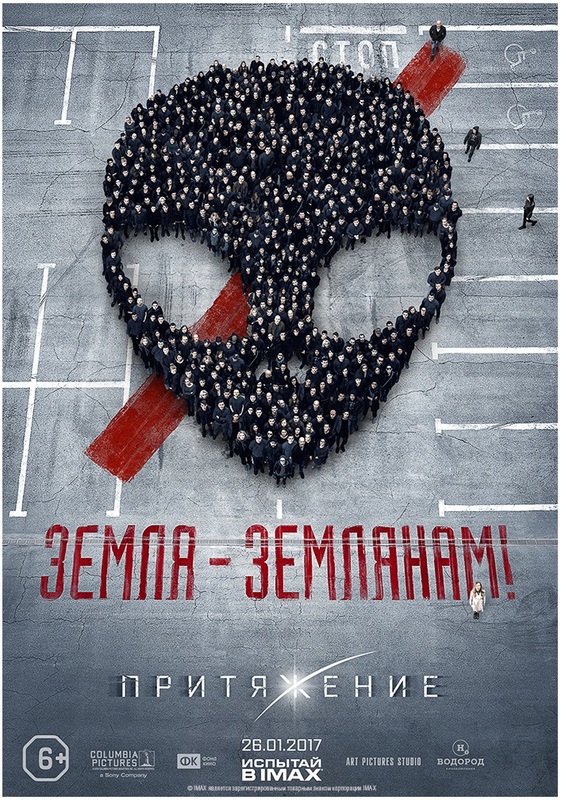 Directed by Russian moviemaker Fedor Bondarchuk, it depicts the first arrival of alien ships onto planet Earth straight over Moscow ... and it seems they're not coming in a friendly manner at all judging from the mindblowing trailer below! A week ago I reported that Maggie Smith's son Toby Stephens is to play the lead role in the TV series remake of LOST IN SPACE and now he has a wife: Molly Parker will play the female lead in the Netflix sf series about the Robinson family, who is stranded in space light years from their intended destination, battling a strange new alien environment and their own personal demons. She will play Maureen Robinson a fearless and brilliant aerospace engineer who makes the decision to bring her family to space for a chance at a new life on a better world. Stephens is her husband, astrophysicist and the expedition commander. Maxwell Jenkins and Taylor Russell play their kids. 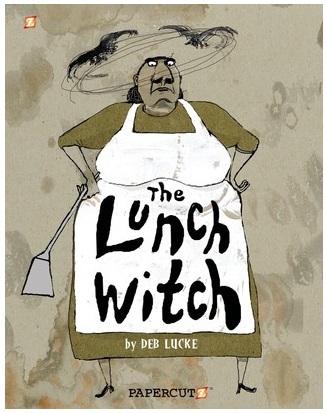 When it comes to adaptations, Clay Kaytis will turn Deb Lucke's YA novel THE LUNCH WITCH into a movie. For many generations, the women of Grunhilda’s family have stirred up trouble in a big, black pot. Grunhilda inherits her famous ancestors’ recipes and cauldron, but no one believes in magic anymore. Despite the fact that her only useful skill is cooking up potfuls of foul brew, she finds a job listing that might suit her: lunch lady. Grunhilda delights in scaring the kids until she meets a timid little girl named Madison with a big set of glasses who becomes an unlikely friend. Madison needs help at school and at home, but helping people goes against everything Grunhilda’s believes in as a witch. Will this girl be able to thaw the Lunch Witch’s icy heart? Or will Grunhilda turn her back on a kindred spirit? Only two weeks ago I've shown you two new trailers with Downton Abbey star Joanne Froggatt and now here's another one: for ITV's two part period set thriller DARK ANGEL, the extraordinary true story of the Victorian poisoner Mary Ann Cotton! 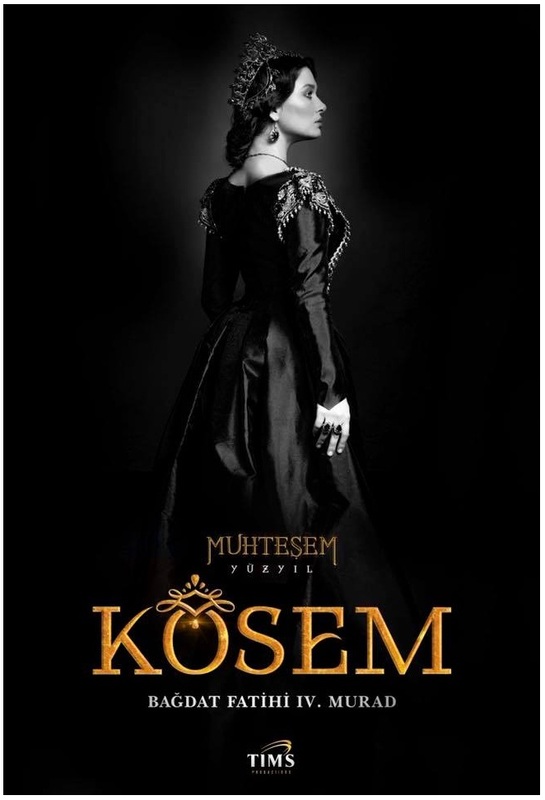 At first a loving wife and mother, faced with abject poverty and an ailing husband, she becomes ruthlessly determined female serial killer, a poisoner whose methods leave no visible scars, allowing her tally of victims to mount unsuspected by a Victorian society unable to conceive of a woman capable of such terrible crimes. 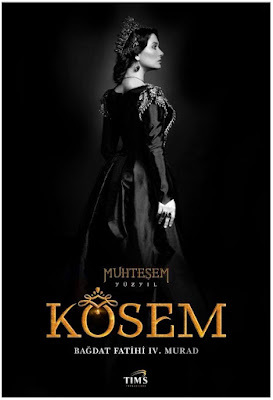 Travelling around the North East, she insinuates herself into unsuspecting families, marrying and creating new families of her own - before killing them, taking their money and moving on. 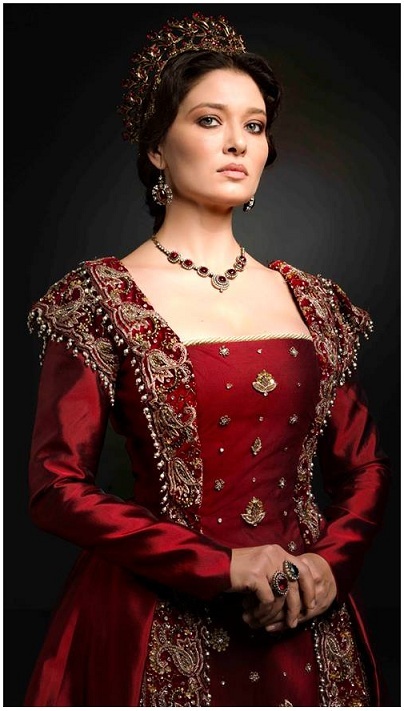 Through adultery, bigamy, fraud and murder, Mary Ann betters herself socially and financially. But the more she kills, the greater the risk her crimes will finally be exposed. 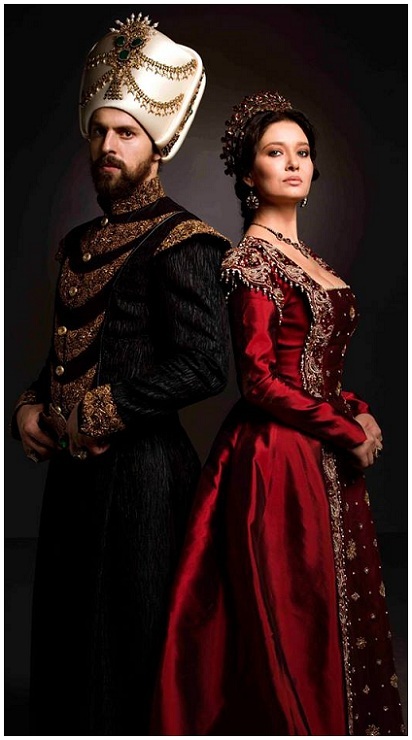 Also starring Jonas Armstrong and Sam Hoare, it will air on PBS in USA too! 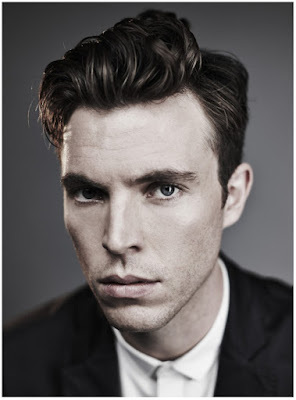 While half of the United Kingdom is swooning over his brooding expressions and dashing hairdo and royal uniforms on Sunday evenings as he plays Prince Albert in ITV's Victoria epic series which is battling for ratings against BBC's Poldark, it seems Tom Hughes will cross over to the rival BBC to take the lead role in their three part thriller series PAULA which will, also starring Denise Gough, focus on the suspense and chaos that suddenly appear in a young chemistry teacher’s life after her hot one night stand with a good looking but dangerous man. Sony Pictures has started production on the sequel to popular adventure classic JUMANJI and its lead star Dwayne Johnson has shared first set photos revealing him with the cast and one with him and pop superstar Nick Jonas who also stars. 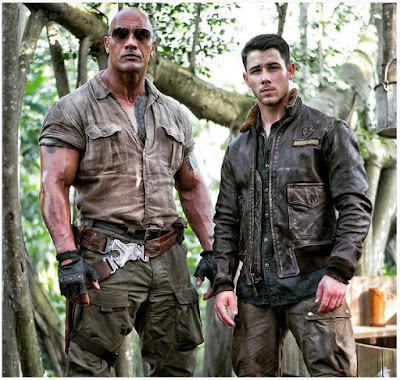 Apparently some of the young actors will play real kids, while Dwayne as Dr Smolder Bravestone, Nick Jonas, Jack Black as professor Shelly Oberon and Karen Gillan as Ruby Roundhouse will be their avatars within the game itself. 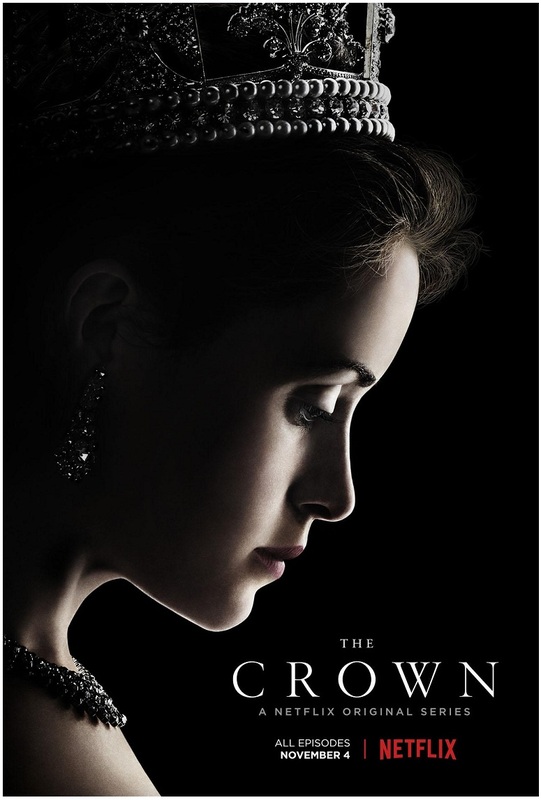 In the trailer department, a long new one has been released for Netflix $100 million expensive ten part drama THE CROWN which will follow the life of the current Queen Elizabeth II from the moment she stepped on the throne. Arriving this November it will depict her marriage with Prince Phillip played by Matt Smith and her relationship with many politicians including Winston Churchill played by John Lithgow. 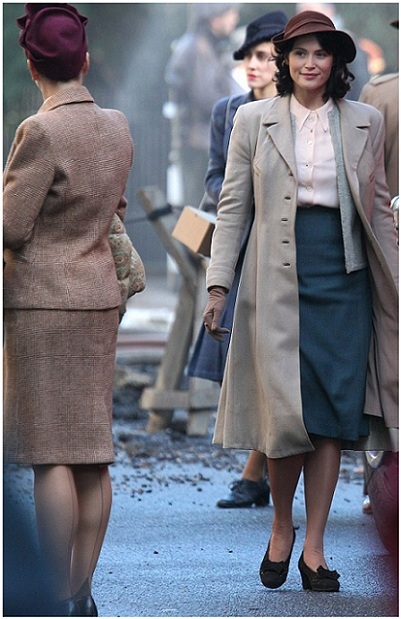 Claire Foy plays the lead role in the first season set in the 1950's at the beginning of Elizabeth's rule. Oscar winner Stephen Daldry directs. 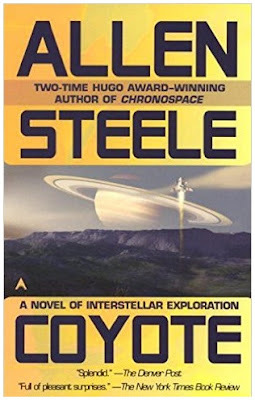 SF TUESDAY: ALLEN STEELE'S 'COYOTE' SF NOVEL SAGA TO BECOME TV SERIES! 'IRON DANGER' EPIC SF ADAPTATION OF KALEVALA EPIC GETS WILDLY IMAGINATIVE TRAILER! Here's another sf book series to be turned into a television series: as 'Deadline' reports Allen Steele's Hugo Award winning five book sf saga COYOTE will be made into a sf show. The story is set in the not too distant future, in an America that has slipped steadily into fascism. The stories kick off when a group of revolutionaries hijack Earth’s first interstellar spaceship destined for the nearest habitable planet. The hostile and divided crew must unite to rebuild society on a strange new world 46 light years from Earth. And to finish today's news in the sf vein, check out a rather gorgeous and wildly imaginative trailer and posters for new sf movie IRON DANGER a 21th century big screen version of famous Finnish epic Kalevala which even famous Tolkien was inspired by! 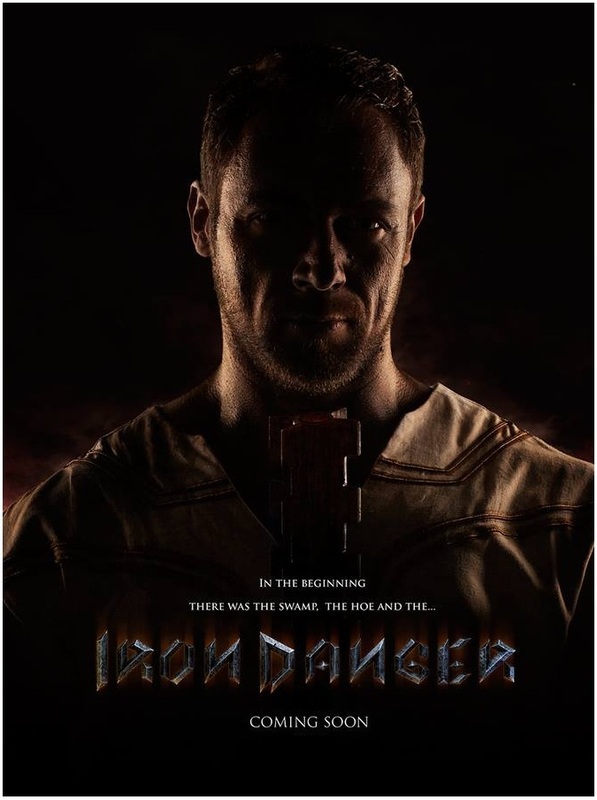 A bold retelling of the ancient Viking epic – a modern action adventure based on the magical civilization of Kalevala, which combines fantasy and steam punk elements, IRON DANGER will now see Kalevala's main character Väinämöinen as a ripped, muscle bound hero. Armed with a hoe, he faces off against mechanical ‘tank bears’ ridden by the gatekeeper of a northern fortress that houses a precious magical artefact. 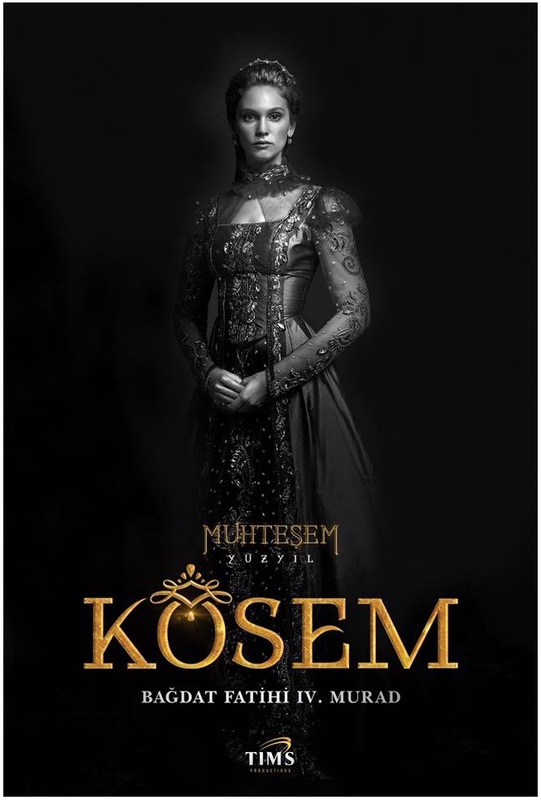 The movie should be out in 2017 coinciding with Finland’s 100th anniversary of independence! The only thing I have for you to cheer up the boring Monday today is the first trailer for delightfully lovely romantic British drama THIS BEAUTIFUL FANTASTIC which should enchant cinemas later this year with lovely Jessica Brown Findlay, dashing Jeremy Irvine and acting legend Tom Wilkinson leading the cast! 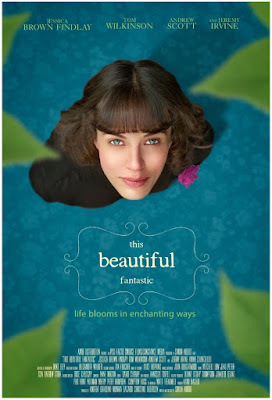 THIS BEAUTIFUL FANTASTIC is a contemporary fairy tale revolving around the most unlikely of friendships between a reclusive, agoraphobic young woman (Jessica Brown Findlay) with dreams of being a children’s book author and a curmudgeonly old widower (Tom Wilkinson), set against the backdrop of a beautiful garden in the heart of London. Bella Brown is a beautifully quirky young woman who dreams of writing and illustrating a successful children’s book. Despite her abandonment as a child, the all consuming OCD, the unfulfilled dream, her awful boss at the library and her paralysing fear of flora and fauna, Bella is down but not out. She has a spark, an edge, a talent and a voice that we can feel from the get go. This girl has a preternatural survival instinct, having been found in the middle of winter in the middle of Hyde Park as a babe. When Bella is forced by her landlord to deal with her neglected garden or face eviction, she meets her nemesis, match and mentor in Alfie Stephenson, a cantankerous, loveless, rich old man who lives next door and is an amazing horticulturist. A lot more gloomy is the first trailer for World War II drama ALONE IN BERLIN which arrives next month directed by French actor Vincent Perez and starring Emma Thompson, Brendan Gleeson and Daniel Bruhl. 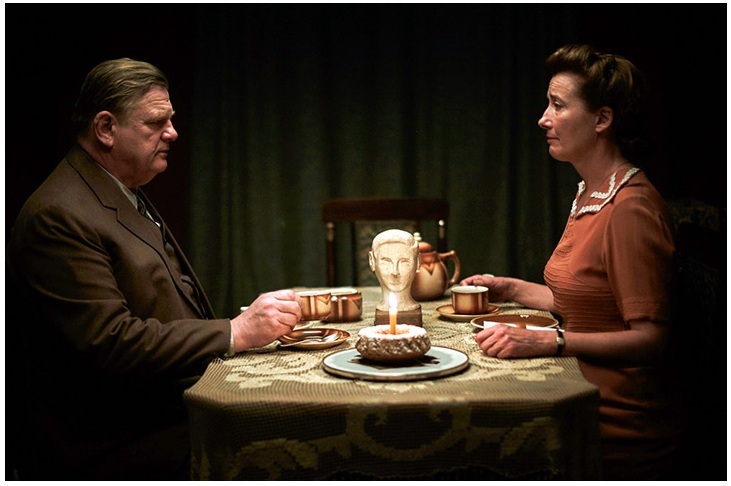 Based on a true story, which served as an inspiration for Hans Fallada novel, ALONE IN BERLIN is set in 1940 following a working class couple in World War II era Berlin, Otto and Anna Quangel, who decide to resist Adolf Hitler and the Nazis, after receiving the news of the death of their only son. They start writing postcards to urge people to stand against Hitler and the Nazis and protest against them. Escherich is the Gestapo inspector charged with finding the source of the postcards. I'm bringing you first photos from some of the upcoming period set movies, today, people! A movie we are definitely awaiting with great anticipation is THE OTTOMAN LIEUTENANT an epic drama set in the World War I! 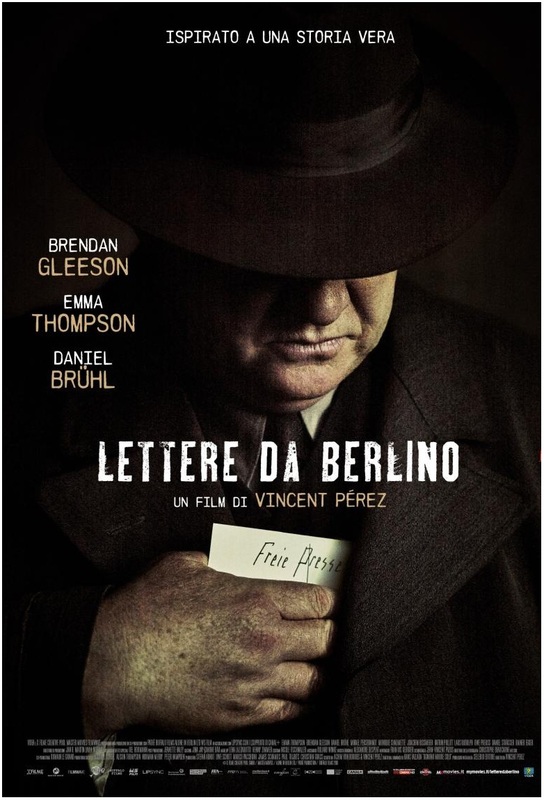 It will have a limited pre Oscar release and a general cinema distribution in February next year! 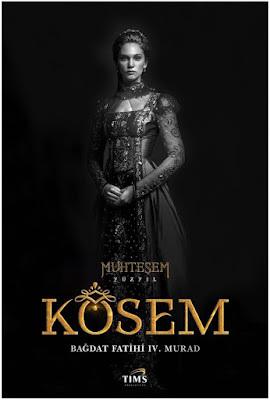 Directed by Joseph Ruben THE OTTOMAN LIEUTENANT follows a strong willed woman (Hera Hilmar), who, frustrated by ongoing injustice at home, leaves the United States after meeting Jude, an American doctor (Josh Hartnett) who runs a remote medical mission within the Ottoman Empire, a world both exotic and dangerous, and on the brink of what is about to become the first World War. There, she finds her loyalty tested to both Jude and the mission’s founder (Ben Kingsley) when she falls in love with their perceived enemy, a lieutenant in the Ottoman Imperial Army (Michiel Huisman). With invading army forces at their doorstep, and the world about to plunge into all-out war she must make a decision. An equally stunning ensemble cast can be seen in another period set movie THEIR FINEST directed by Lone Scherfig and starring Bill Nighy, Sam Claflin, Gemma Arterton, Richard E. Grant, Jack Huston and Jeremy Irons. 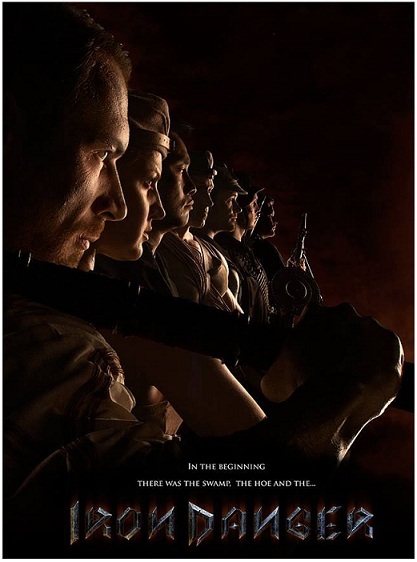 Based on Lissa Evans World War 2 novel THEIR FINEST follows a group of characters in wartime London as they mount an heroic film production for the British government’s propaganda machine. 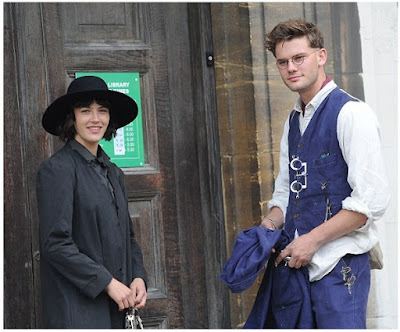 When Catrin Cole (Gemma Arterton) is seconded to pen a screenplay, she is immersed in an hilarious and warm theatrical world that includes characters like prima donna ham actor Ambrose Hilliard (Bill Nighy) and her handsome co-writer Tom Buckley (Sam Claflin). 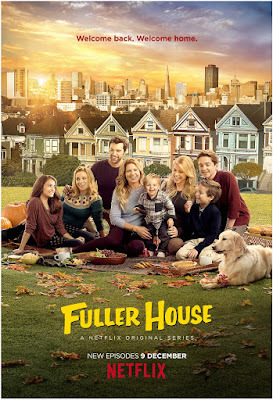 The comedy drama had its premiere at Toronto Film Festival. 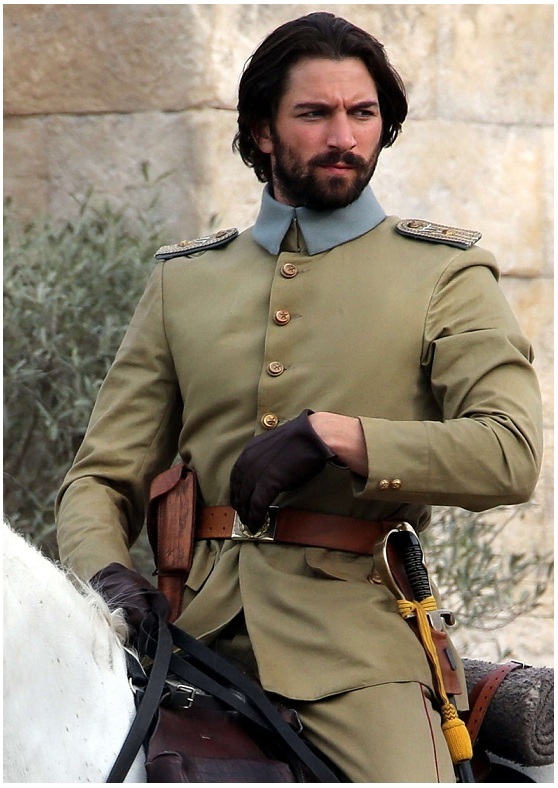 And one that already has some clips to show, and arrives into theatres next March - TOMMY'S HONOUR! Set against the early days of the sport, it centres on the fractured relationship between Scotland’s golf royalty, Tom and Tommy Morris, the dynamic father son team who ushered in the modern game. 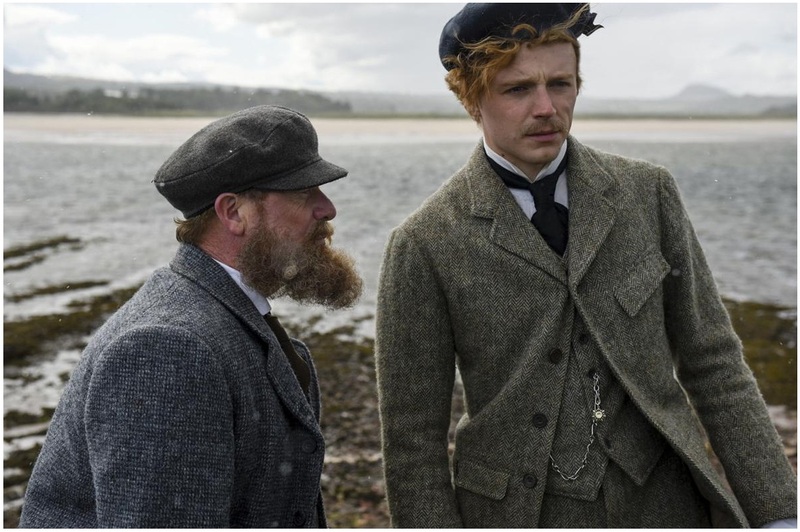 Matching his father’s success by winning his first of four Opens at the age of 17, Tommy’s (Jack Lowden) flamboyance and fame outshined Tom’s (Peter Mullan) stellar playing record and respect as founder of the first Open Championship and local caddie master, greenskeeper and club and ball maker. Tom’s jealousy of his son’s success taints their personal relationship, but together their professional relationship is front-page news. The movie is based on Kevin Cook's bestselling book. 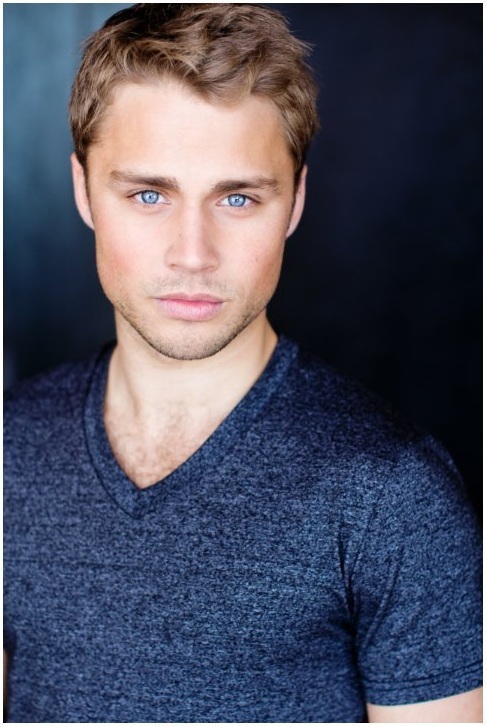 Sean's son Jason Connery is directing. Our beloved British TV star Colin Morgan, whom we just watched this year in The Living And the Dead period set series and Humans sf series, has joined Rupert Everett's Oscar Wilde biopic THE HAPPY PRINCE which stars not only Everett as well, who is also writing and directing, but Colin Firth as well! THE HAPPY PRINCE, which has the story set in the last days of legendary writer Wilde as he lies on his death bed and the past floods back to him, transporting him to other times and places, will also have other acting legends in the cast including Emily Watson, Tom Wilkinson and Miranda Richardson! 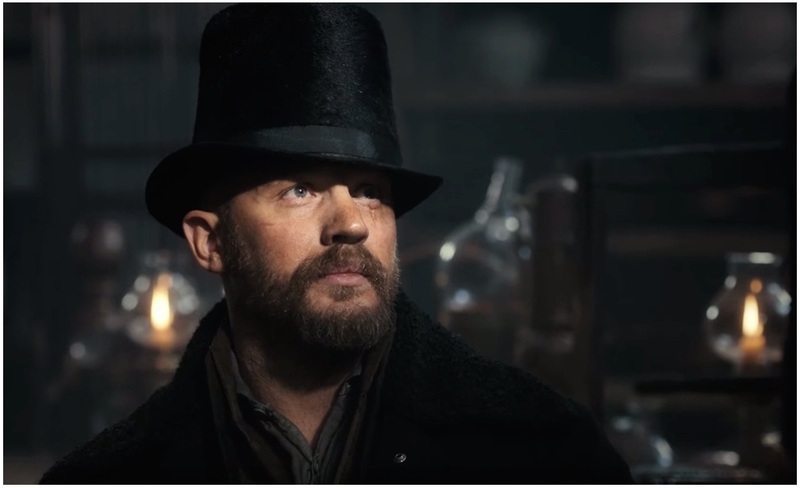 Speaking of period set projects, you can also check out the new teaser for Tom Hardy epic series TABOO which will air at BBC and FX soon. Written by Hardy himself, it follows a traveller long thought dead who returns to 1814 London after ten years in Africa, burdened with his father's mysterious legacy. 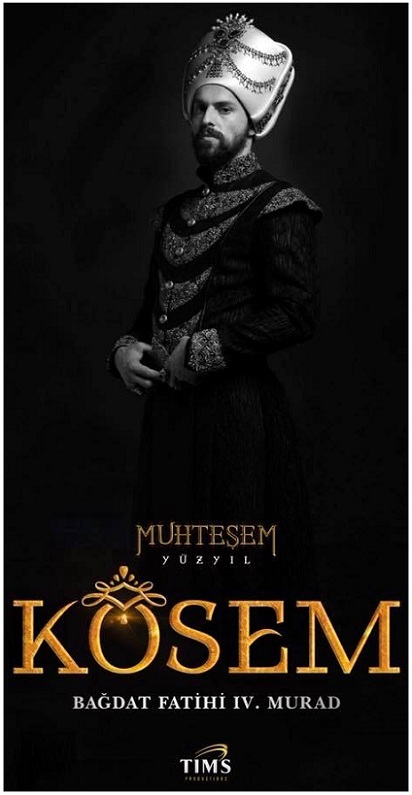 His obscure family history comes to the fore when he clashes with the all-powerful East India Company over control of his family's shipping business. The 8 episode series also stars Jonathan Pryce and Jessie Buckley! 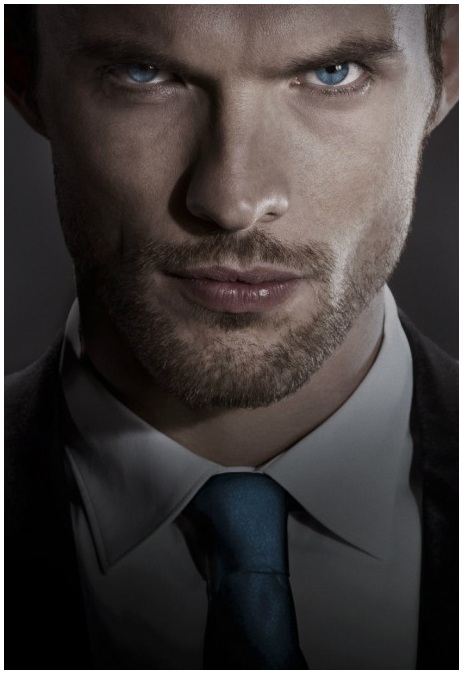 I've gotta admit we've kinda lost interest for James Cameron and Robert Rodriguez' adaptation of ALITA: BATTLE ANGELS ever since the rather blah casting begun, but the latest addition of Ed Skrein as the villain is at least some good news. Rosa Salazar is leading the cast which also has Christoph Waltz and Jackie Earl Haley. Set in the 26th century, ALITA tells of a female cyborg that is discovered in a scrapyard by a scientist. With no memory of her previous life except her deadly martial arts training, the woman becomes a bounty hunter, tracking down criminals. As 'Hollywood Reporter' writes, Ed Skrein will play a character named Zapan, a villainous cyborg who is in possession of a weapon called the Damascus blade. In the whole army of handsome hunks that have already joined the fourth season of CW's epic series REIGN, here's a new blue eyed one: Max Lloyd Jones is to play Sir Francis Drake one of Queen Elizabeth's (Rachel Skarsten) admirals and knights. Not that everybody saw him as a knight: although he lead many expeditions around the world, he also inaugurated an era of piracy in Americas and was one of those who defeated the Spanish Armada in 1588. As I told you before, Will Kemp is joining the season as Queen Mary of Scots' (Adelaide Kane) second husband Lord Darnley, Adam Croasdell is to play Bothwell, Mary's third husband, Steven Lund will be Lord Luc, Lord Narcisse's (Craig Parker) dashing son. For all ya teens, the first trailer has been revealed for the big screen adaptation of FALLEN series following Luce Price (Addison Timlin who seems as lifeless and bland as that zombie chick from Twilight was), a seventeen year old living a seemingly ordinary life until she is accused of a crime she didn't commit. 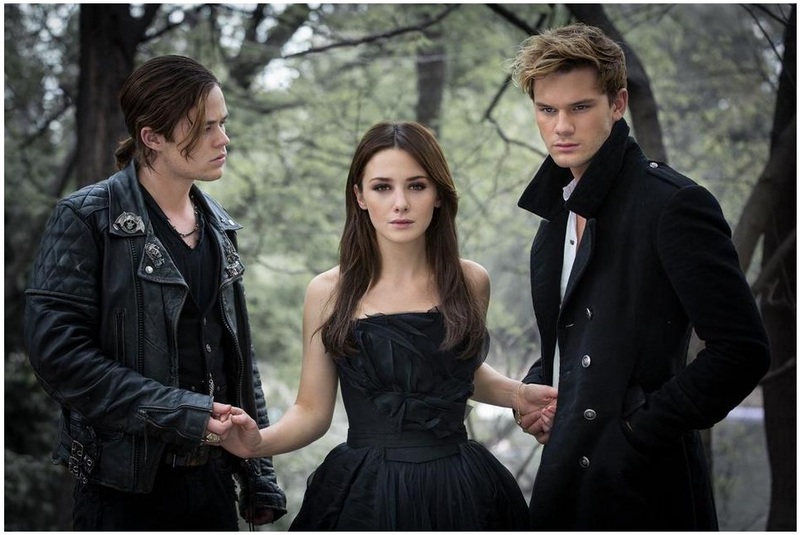 Sent off to the imposing Sword & Cross reform school, Luce finds herself being courted by two young men (Jeremy Irvine and Harrison Gilbertson) to whom she feels oddly connected. 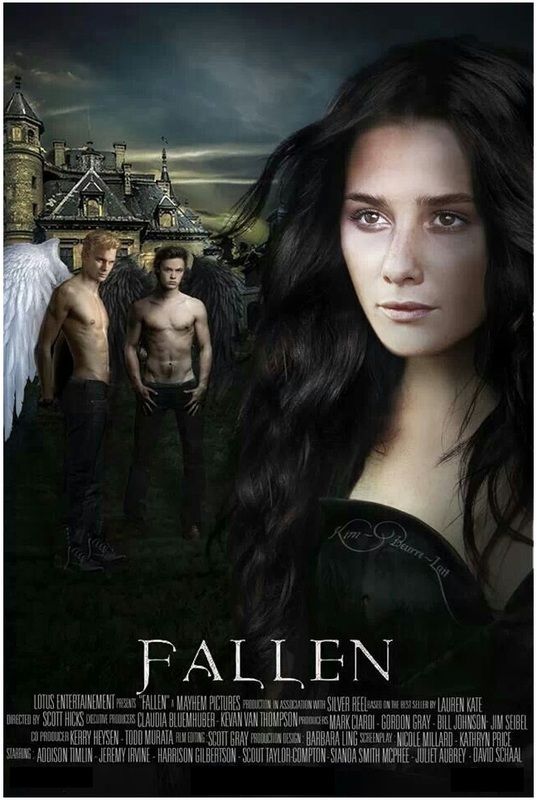 Isolated and haunted by strange visions, Luce begins to unravel the secrets of her past and discovers the two men are fallen angels, competing for her love for centuries. Luce must choose where her feelings lie, pitting Heaven against Hell in an epic battle over true love. Joely Richardson also stars in November 17th flick. TOBY STEPHENS TO LEAD 'LOST IN SPACE' SF TV SHOW REMAKE! 'DAMNATION' PERIOD SET SERIES WITH ADEN YOUNG, LOGAN MARSHALL GREEN! 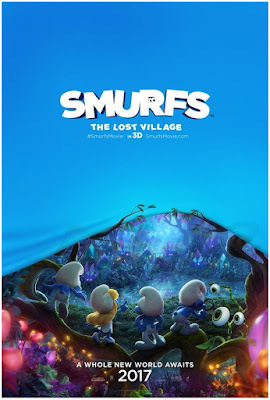 'SMURFS: LOST VILLAGE' TRAILER IS HERE! Here's a new period set series for us: USA is preparing a pilot episode for DAMNATION TV series, an epic saga of the secret history of the 1930s American heartland, chronicling the mythic conflict and bloody struggle between big money and the downtrodden, God and greed, charlatans and prophets. 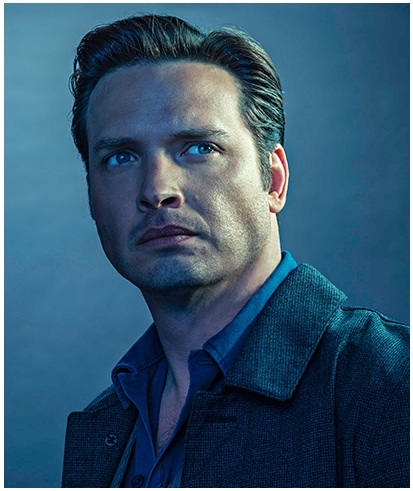 The pilot centres on Seth Davenport (Aden Young), a man masquerading as a small town Iowa preacher in the hopes of starting a full blown insurrection against the status quo. 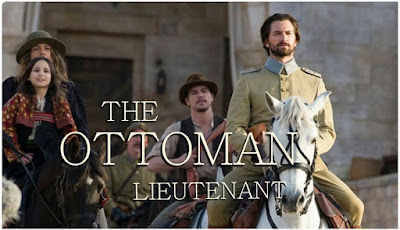 Focused on his mission, he is unaware that an industrialist tycoon has hired a professional strikebreaker named Creeley Turner (Logan Marshall Green) to stop the uprising by any means necessary. But unbeknownst to those around them, these two men already share a secret bloody past. Also in the cast are Sarah Jones as the preacher's wife, Chasten Harmon as a Machiavellian prostitute, Christopher Heyerdahl as the local sheriff, and Melinda Page Hamilton as one of the strikebreakers. Another delicious piece of news comes from the upcoming remake of famous LOST IN SPACE sf TV series which will be toplined by Toby Stephens! The ten episode series to air at Netflix in 2018 follows the Robinson family, who is forced to come together in a time of crisis. Stranded in space light years from their intended destination, they find themselves battling a strange new alien environment and also their own personal demons. Toby Stephens will play the father, astrophysicist John Robinson, the expedition commander, little Maxwell Jenkins will play his youngest child with Taylor Russell as his eldest daughter! 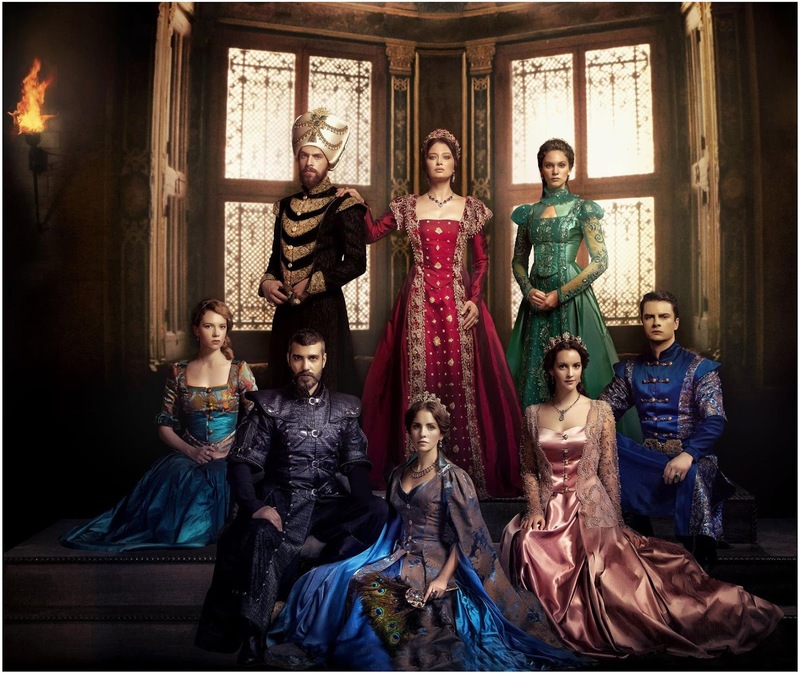 Dracula Untold scribes have written the scripts for the new show! Holy Smurf! The first trailer for the latest fully animated adventure SMURFS: THE LOST VILLAGE has been released into the woods! 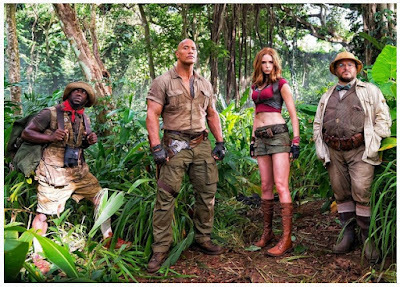 Smurfing its way into theatres next April, it will see a mysterious map setting Smurfette (Demi Lovato) and her best friends Brainy, Clumsy and Hefty (Joe Manganiello) on an exciting and thrilling race through the Forbidden Forest filled with magical creatures to find a mysterious lost village before the evil wizard Gargamel does. Embarking on a roller coaster journey full of action and danger, the Smurfs are on a course that leads to the discovery of the biggest secret in Smurf history!